If you work in an office that has a systems administrator go talk to him or her about the problem. But if you don’t have an administrator, how did Task Manager get disabled and how can you turn it back on? The very likely explanation is that you have caught a virus. Disabling Task Manager is one way that virus programs make it more difficult for you to get rid of them. You can no longer snuff a program or background process, which is where viruses like to hide. Before trying to enable Task Manager, you absolutely must run a complete virus scan on your drives, memory, and everything else your anti-virus program will check. You do have an anti-virus program, right? And its virus definition database is all up to date, right? Take care of both right now. 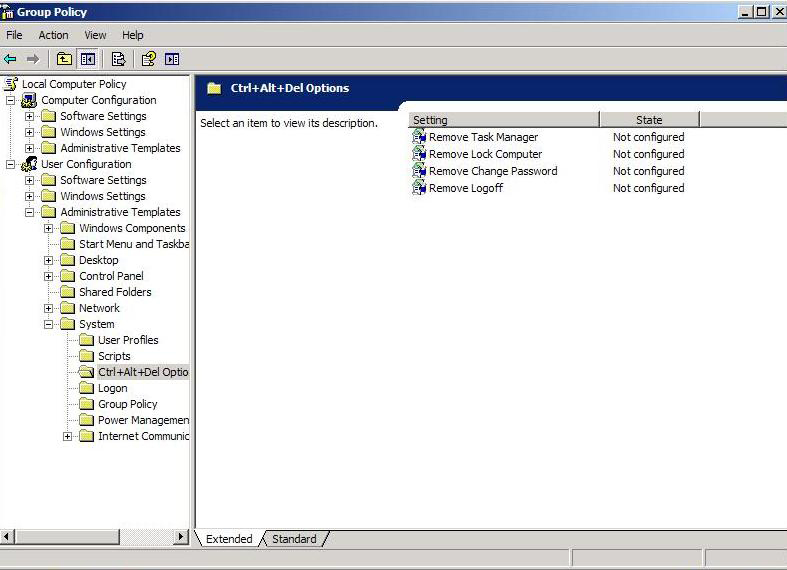 Once you have your computer nicely virus-free, you can use the Group Policy Editor to enable Task Manager again. 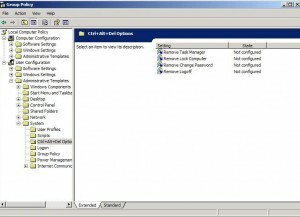 Double-click on the Remove Task Manager item to open its configuration screen. Click on “Not Configured” and then click OK. Close the GPE. Task Manager should now be available again. An alternative method involves editing the registry using regedit. In the right-hand pane you will see a key named “DisableTaskMgr”. Right-click on it and select Modify. Click on Delete, confirm that’s what you want to do, and close regedit. Task Manager should be available now.